Telstra, Australia’s largest telecommunications company, is expanding its use of Pivotal Cloud Foundry (PCF). 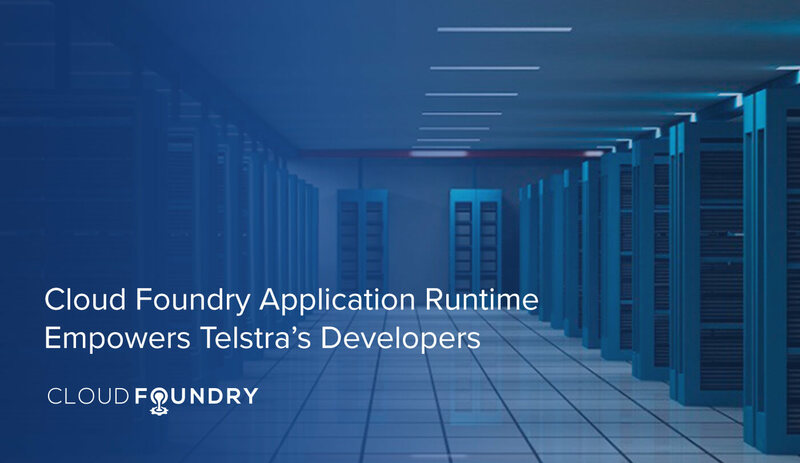 Finding Cloud Foundry Application Runtime fast tracks its solutions to market, Telstra is eager to move more teams to the cloud application platform and agile methodology. So far, 100 internal teams have embraced PCF, and their work accounts for about 30 percent of Telstra’s business. The goal is for 400 teams to move to the platform. “We’re talking about four to five thousand people running on agile methodology in a couple of years’ time,” said Telstra CIO John Romano. And PCF helps teams iterate faster. With the platform, the time to develop software decreased from between six to eight months to 10 to 12 weeks. Telstra’s first project was Ram Select, an app created with Pivotal for the Sheep Co-operative Research Center that uses geo-matching technology to monitor and track health and quality of sheep. Most recently, Telstra worked with Pivotal to build a new service status page that informs customers of service disruptions, helps them reconnect more quickly and resolve issues on their own. After working with Pivotal for the past two years, Telstra is using its newfound expertise to help its corporate customers climb aboard the digital transformation train. Like other corporationss across all industries, including many of its customers, Telstra is in the process of digital transformation. As it undergoes this technological transformation, Telstra is simultaneously “supporting our customers on that journey to buy virtual products and services that we provide,” explains Penn.